If Africa is to reach its full potential, the answer lies – in part – in increasing her economic viability. But contrary to popular opinion, that doesn’t necessarily mean more industry and it absolutely does not mean more aid. The African continent loses six times more revenue to corruption and shadow deals than all the aid ‘donated’ by the West combined. When France’s President visited Ghana in 2017, President Nana Akufo-Addo put him in his place by demanding Ghana – and Africa – be seen as economic contenders rather than charity benefactors. Before African nations worry about increasing trade with France, maybe we need to worry about some old imbalances first. For instance, all 14 of Ghana’s French-speaking neighbors still pay a “colonial tax” to France in the form of forced deposits. That means former French colonies must deposit 50% of foreign exchange reserves at the Bank of France so that France – not the African nations making the deposit – earn interest on those dollars. Hold on. It gets worse. Those nations can only access 15% of the money in any given year. If a nation needs more than that, it will have to borrow its own money from France for a fee. And even then, the nations are capped at 20% of their public revenue from the previous year. Ironically, France gives a small percentage of the same money they hold hostage back to African nations in the form of ‘aid’. If this sounds confusing, thats because it is. 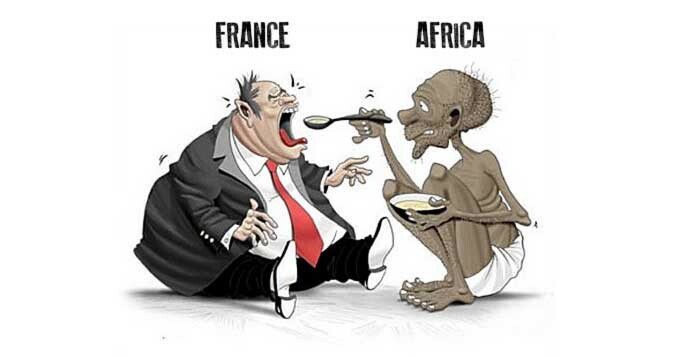 This financial scam and colonial tax is meant to keep France strong, and African nations dependent. West Africa Leaks, an investigative project by the International Consortium of Investigative Journalists (ICIJ) in collaboration with West African journalists, has uncovered how these practices take money out the region. ICIJ says its findings were drawn from a pool of 30 million documents, including leaked financial records. In one example, SNC-Lavalin, a Canadian engineering firm, exploited a “lopsided” treaty between Senegal and Mauritius after winning a $50-million deal to build a processing plant for Senegal’s Grande Cote mineral sands mine. In the hope of becoming more attractive to investors, the 2004 treaty was primarily set up to avoid taxing multinationals twice in each country. But with Mauritius’ notoriety as a tax haven, SNC-Lavalin managed to avoid $8.9 million in taxes altogether. It set up a shell company in Mauritius “for the specific purpose of helping the engineering giant avoid tax payments,” ICIJ reports. For countries typically dealing with plugging wide gaps in funding for infrastructure and capital projects, illicit flows due to corruption and tax evasion schemes have a significant effect. And it’s not just a regional problem: Last year, a report by Global Financial Integrity showed Sub-Saharan Africa remains the most vulnerable region, losing up to $69 billion in 2014 alone. 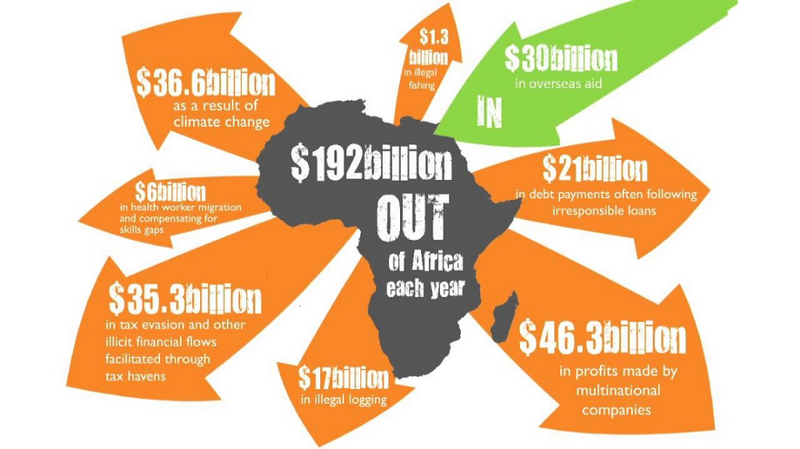 To put that number into context, the average annual income in Sub Saharan Africa is US $2,041. If that same $69 Billion lost to corruption was redistributed to the people, more than 33 Million Africans would be taken care of for a full year.